Blue natural capital projects aim to protect, restore and enhance natural ecosystems to better support climate change adaptation and mitigation efforts whilst conserving biodiversity and other vital coastal and marine natural resources. Blue natural capital projects need to be robust and pass investment hurdles. 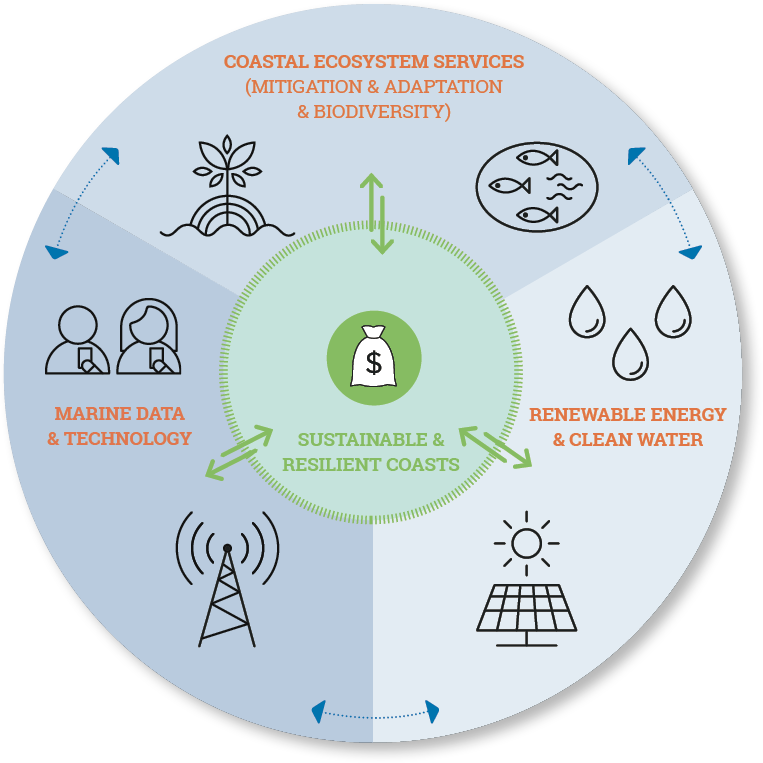 This can be achieved by integrating complementary investment components, forming tight synergies to facilitate the creation of resilient coasts. 1. Nature-based solutions and ecosystem-centered sustainable business operations linking coastal ecosystem restoration and conservation to climate change adaptation and mitigation as well as sustainable resource management and use. 2. Modern data systems & marine technology supporting nature-based solutions (communication, planning and monitoring) and sustainable livelihoods (i.e. through availability of wireless networks). 3. Small-scale renewable energy and clean water solutions in coastal zones as new business and livelihood opportunities to reduce pressure on coastal ecosystems. The BNCFF is supported by the Government of the Grand Duchy of Luxembourg and managed by the International Union for Conservation of Nature (IUCN). The development of this website has been supported by the Government Offices of Sweden, Ministry of the Environment and Energy.